Always Ultra Long with wings provides you with a Fresh feeling all day, thanks to its unique odour neutralising ActiPearls. 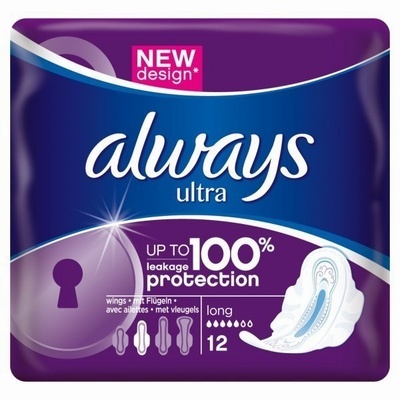 Always Ultra Long with wings has 5 Signs of Protection all in 1 pad to give you Always' best protection. Always Ultra Long Sanitary Towels offer Always’ trusted coverage with up to 100% leakage protection. Always Ultra has liquid-locking gel and gel can’t leak. This is because the gel pulls fluid in to prevent leakage. It also contains Odour Neutralising Technology which blocks odours and doesn’t just mask them. Always Ultra pads are 3mm thin, yet provide up to 100% protection for a great feeling of comfort. Always Ultra Long pads have added length for more coverage, for Always' best protection against leakage during your menstrual cycle.